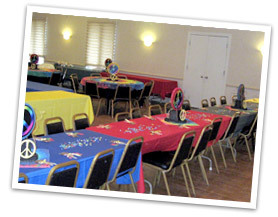 The use of our Social Hall for your B’nai Mitzvah is strongly recommended. It affords you the opportunity to both maintain the dignity of the service decorum and immediately begin your reception without your guest having to drive again. You can use the caterer of your choice. The fixed pews in the sanctuary seat approximately 180 people. A row of folding chairs can be placed in front of the moveable wall to seat an additional 20 people. With the wall open, the sanctuary will seat a total of 600 people. The back of the sanctuary may also be rented for receptions. This area can accommodate a maximum of 150 people with banquet seating. However, if chairs are needed in this area for the worship service, it will not be immediately available for use following the service. If chairs are placed in just part of this area, families may rent moveable screens, usually available from caterers, rental companies or florists, to separate the sanctuary seating from the reception area. Use of the facilities of Temple Beth Am for your Bar/Bat Mitzvah reception may be arranged through the B’nai Mitzvah Coordinator. Please complete the Facilities Request Form <links to download on page> and return it. If the request can be granted, a completed Facilities Rental Contract and a 25% non-refundable deposit is required to reserve space. The remaining 75% balance is due 30 days prior to the event date. All space is reserved on a first come-first served basis. The Facilities Request Form and the Facilities Rental Contract can be download from this page. Any loss of equipment, breakage, or damage to the physical property of TBA is the responsibility of the family. All exit doors must be left free and unobstructed by tables, decorations, or equipment. Smoking is prohibited at all times within the synagogue. 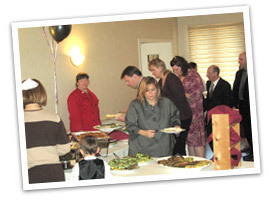 We do not have an in-house caterer or an approved list of caterers for any other function. 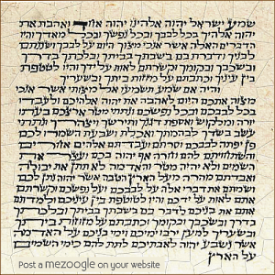 The Bar Mitzvah Coordinator can share experiences of other members with you. The temple maintains certain religious dietary restrictions. Pork and shellfish products are prohibited. There is no mixing of meat and dairy products in the same serving dish (such as chicken parmigiana or a deli platter containing both meats and cheeses. The maintenance staff is on salary for Shabbat evening and Saturday service. You may provide a gratuity. If you wish to do so, it is entirely discretionary. The staff will set up and clean up the Friday evening Oneg Shabbat. The staff will also set up and clean the upstairs bathrooms. Families may place grooming baskets and/or flowers in the bathrooms. There is a required maintenance staff fee for any reception. Please see the rental agreement. The Maintenance Staff does not provide a catering service and should not be relied upon to do such. They are on-site to maintain the facilities. All vendors, including caterers, D.J.’s, music and entertainment companies, florists, and photographers, must have Certificates of Liability Insurance registered in the temple office. Please call the office to find out if your particular vendor has the Certificate on file. All vendors must be insured for $1,000,000 for each incident, and name Temple Beth Am as “Certificate Holder”. No photographs may be taken during services. The Rabbi and Cantor will be in the sanctuary before the service for photographs. Videos may be taken from the rear of the Sanctuary using a stationary tripod and no additional lighting. Music is permitted for your reception after services, including Saturday afternoons.